In Arastta you have the option to track your marketing campaigns. 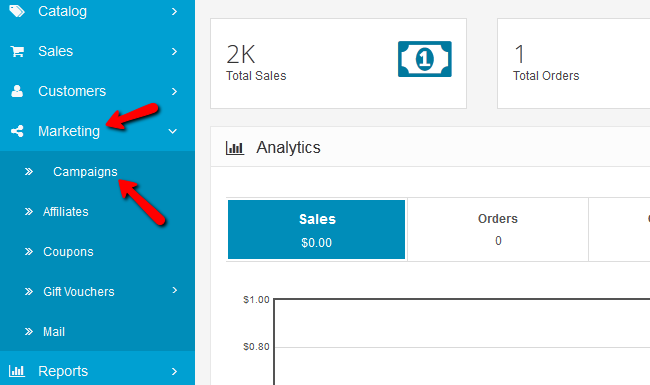 There is a build in module that will let you see exactly how effective your campaigns are and what your conversion rate is. To start tracking a campaign you will need to login to your admin dashboard and access Marketing>Campaigns. This is your Tracking list where you can see all of the campaigns that you track. It is empty so let us track a new campaign by clicking on the green Add New button. Examples – Two examples of how the tracked URLs should look like when you add the Tracking code (ID) to them. The examples are showing a tracking of the home page but you can customize your URLs to track the page you want. Click the Save button once you are ready to create the tracking. 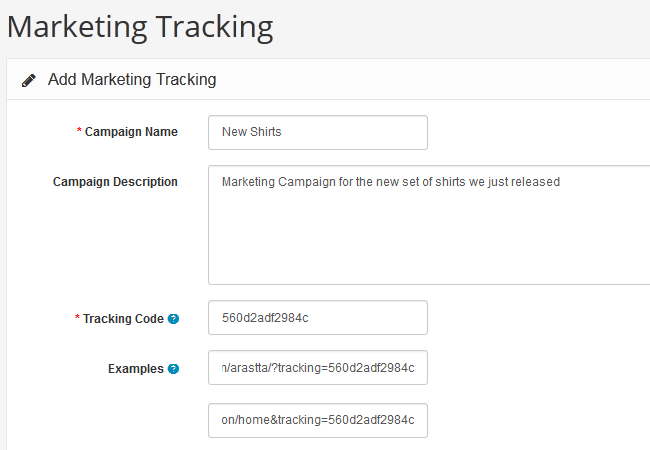 Now you will be able to track the clicks and orders for set campaign.